Sossusvlei (sometimes written Sossus Vlei) is a salt and clay pan surrounded by high red dunes, located in the southern part of the Namib Desert, in the Namib-Naukluft National Park of Namibia. 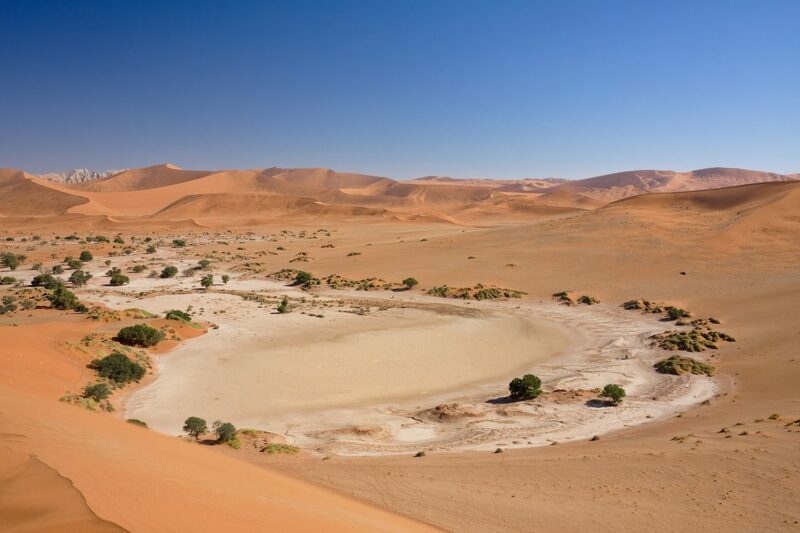 The name “Sossusvlei” is often used in an extended meaning to refer to the surrounding area (including other neighbouring vleis such as Deadvlei and other high dunes), which is one of the major visitor attractions of Namibia. The name “Sossusvlei” is of mixed origin, and roughly means “dead end marsh”.